How did the Great War start? And what happened? I was going to teach my super smart class about World War I and I knew that I needed to come prepared to class, so I bought this small book of 156 pages and used it prepare myself. 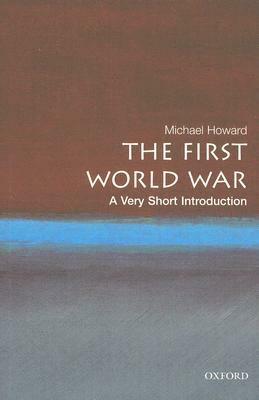 It gives a very good overview of the reasons the different countries had to enter the war and a good overview of what happened in the war, both on the battlefields and back home in the major participating countries. But I missed a couple of things when reading it. Most importantly a simple time line because there are a lot of dates to keep track of. And then I would have liked more pictures, maps and statistics. And although it didn’t answer all my kids’ question like what did Japan do and how did it go with Serbia, it definitely made me able to do a much better job teaching the subject. Oxford University Press has published many Very Short Introductions books on a whole range of topics and I will probably pick of more of them on topics I feel I know too little about.